WIN a weekend away in Yorkshire! 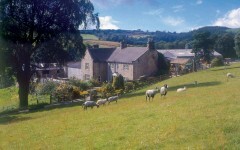 Nestled among the hills of the Nidderdale AONB (Area of Outstanding Natural Beauty) in the delightfully named village of Blubberhouses, Scaife Hall Farm is a 600-acre working farm and B&B. With beautiful waymarked walks on the land plus stunning views of the surrounding moorland and easy access to the Yorkshire Dales National Park and nearby reservoirs, it's a truly unique place for a special weekend away. Thank you to everyone who entered - congratulations to the winner, Fran W! The superb location of Scaife Hall Farm means the lucky winners can explore some of the best countryside Britain has to offer - here are some of the best nearby routes that you can download and follow in the area. This walk through easy moorland tracks takes you to the large, isolated rock formation known as ‘Jenny Twigg and her daughter Tib’ – apparent witches turned to stone for all eternity. 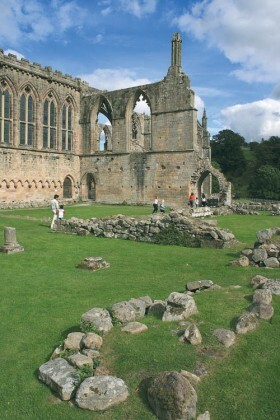 This walk offers the best stretches of the river Wharfe with a taste of the open moors, while taking you round Riddings Hill and the ruins of Bolton Abbey. Follow in Julia Bradbury’s footsteps with this walk from her most recent TV series. It'll take you to Janet's Foss waterfall, Gordale Scar and Malham Cove. * The winner will receive 2 nights in Scaife Hall Farm B&B for two people (in a twin or double room) on a weekend of their choice plus a £100 ViewRanger voucher. The prize covers the cost of the room and breakfast only; any other expenses occurred during their stay will need to be paid for by the winner. The prize covers the hotel stay only - travel expenses are not covered. Competition ends 23:59 GMT on Friday 6th May 2016. The winner will be contacted by Friday 13th May and will need to have informed ViewRanger of their desired weekend by Friday 3rd June 2016. The weekend break cannot be booked for a bank holiday weekend and must be booked for a weekend before 20th November 2016 as the B&B closes for the winter. Bookings are subject to availability: ViewRanger and Scaife Hall Farm will do all they can to accommodate the winner on their chosen weekend however you may be asked to choose an alternative weekend if the chosen weekend isn't available. For directions and more information on Scaife Hall Farm please visit their website. Please note Scaife Hall Farm does not allow dogs.